Eurolanche.com introduces participants of the upcoming Eurolanche Invasion XI. Kieran Lavelle, 32, comes from Scotland. 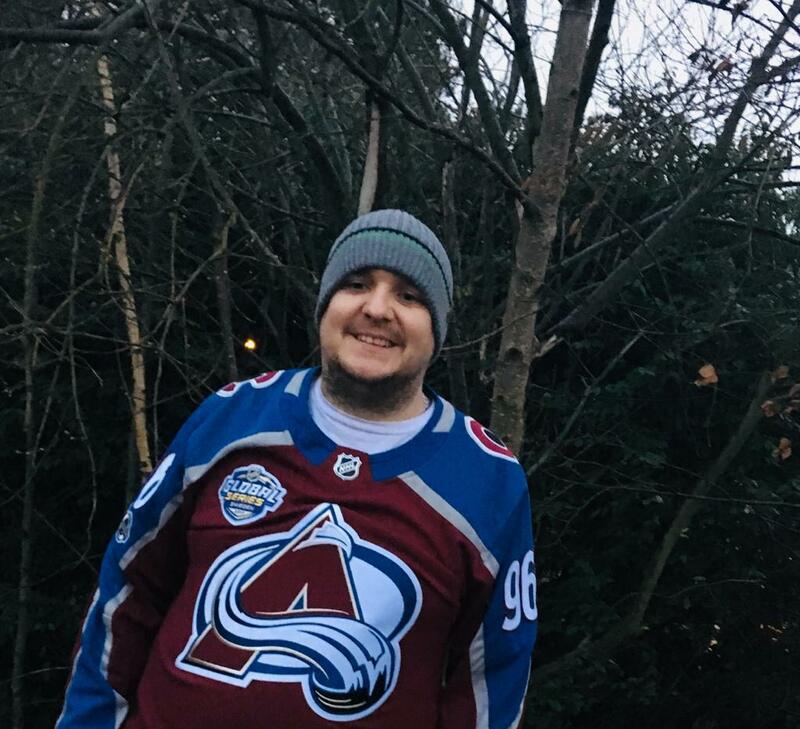 He has been an Avalanche fan since 1999 when he had a copy of NHL 99 on the original PlayStation. He has been a Eurolanche member since 2014. This will be his first trip to Denver. What convinced you that you couldn’t miss Invasion XI? I had been wanting to visit Denver for years and never thought I'd actually get the opportunity to go, but I discovered the Eurolanche group and after checking them out, I found out that they had an annual trip to Colorado. It was then I decided to join the group. I had always thought the trips would be too expensive for me and I had a few other concerns, like if I would be able to communicate with other members as I spoke English. 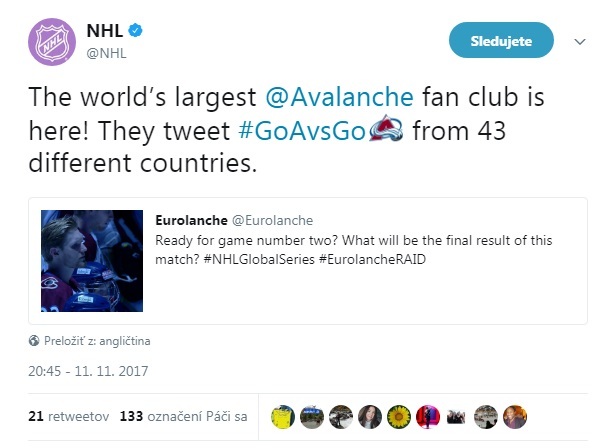 Once the NHL announced in 2017 that Colorado would be playing two games in Stockholm, Sweden against the Ottawa Senators, I thought this may be my only chance of ever seeing the Avs live. I contacted David and asked to be part of the trip to Stockholm for these games. It was there and after meeting David and other members who are on this Invasion, my initial fears of being the only English speaker were put to rest. I guess the thing I am looking forward to most is finally having the opportunity to visit Colorado and the Pepsi Center. Also visiting Chicago and Nashville for divisional games and exploring the cities, Chicago for the mob museum, the house of blues and of course the famous deep-dish pizza. Nashville for its music scene and a trip to Lynchburg for the Jack Daniel’s distillery. Overall, in every game we get to see some of the best players today, not only with our team, but other big names like Matthews, Marner, Laine, Toews, Kane and more. Why did you decide to sign up for Invasion XI? I think I already mentioned the experience in Stockholm. It made me want more, I wanted a US experience too. Plus, after seeing game 82 last year against the Blues where the Avs made the playoffs, it made me want to be part of that atmosphere one day. Which game do you think is most interesting? For me, there's a few. The game against Toronto on the day some of us arrive will be an exciting contest with two really young, highly talented and high-scoring teams. The away games in Chicago and Nashville, being big divisional games, have a massive appeal. Another one is the Vancouver game, as I grew up watching the rivalry in the old division and the Todd Bertuzzi incident. Now, it's seeing their great young players Boeser and Pettersson, which makes them a really underrated and dangerous team.